Adobo Creative Rankings 2014: Revolver is 2nd! 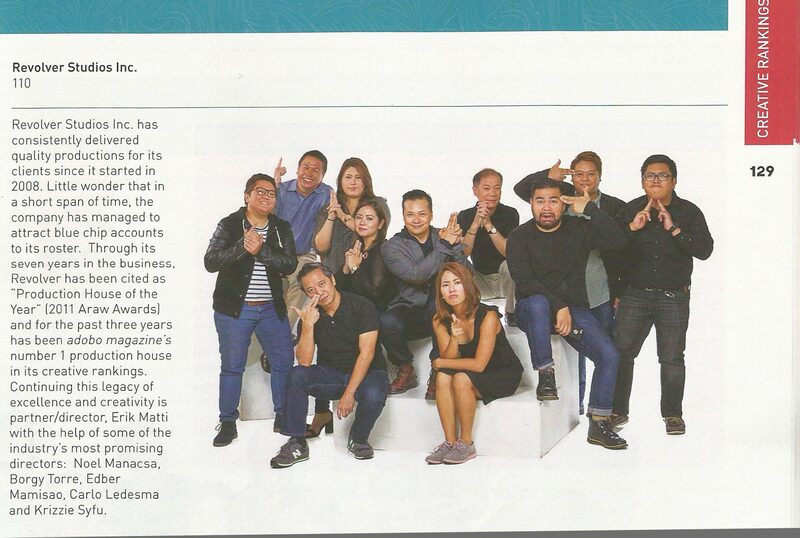 Congratulations Revolver Studios who ranked 2nd alongside Film Pabrika in this year’s Adobo Creative Rankings “Production House” Category! Congratulations also to our in house directors for their respective ranks under the “Director” Category!